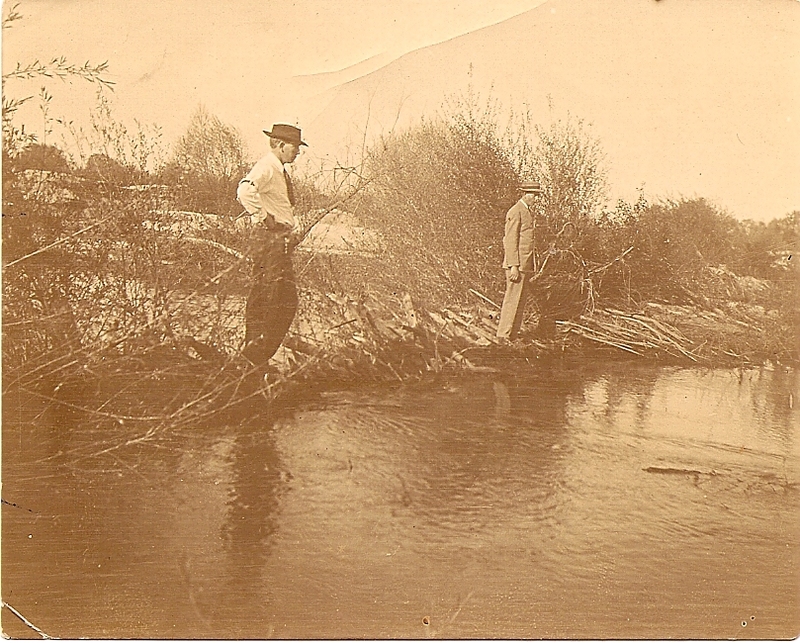 Here is a picture of my Grandpa John McCullah and his brother Ed BIOENGINEERING the eroding banks of the Kings River, near Hanford CA, back in the 1910s !! Also look at the second picture of them “checking out their work during the floods. That is a sign of a “good practitioner”, one who visits the site during storms to see what can be improved upon. 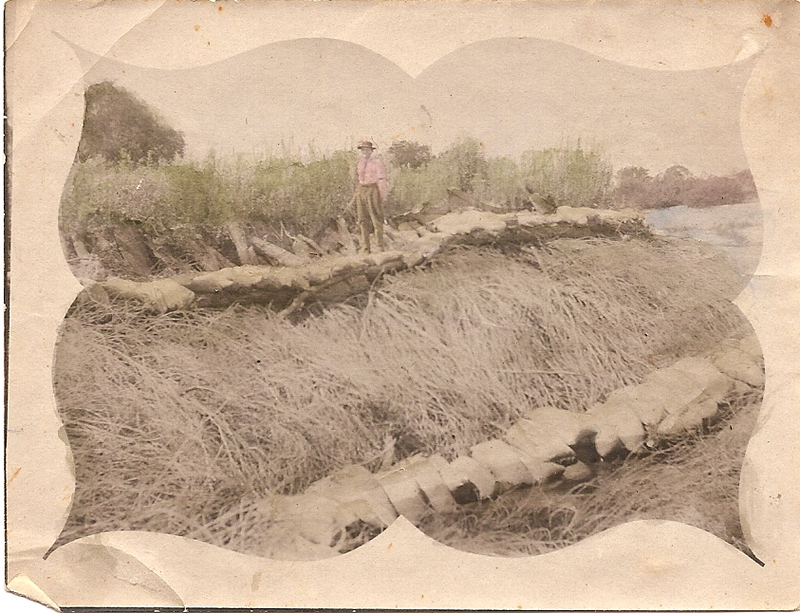 At that time, little did my granpa know I’d be doing similar work a 100-years in the furture. 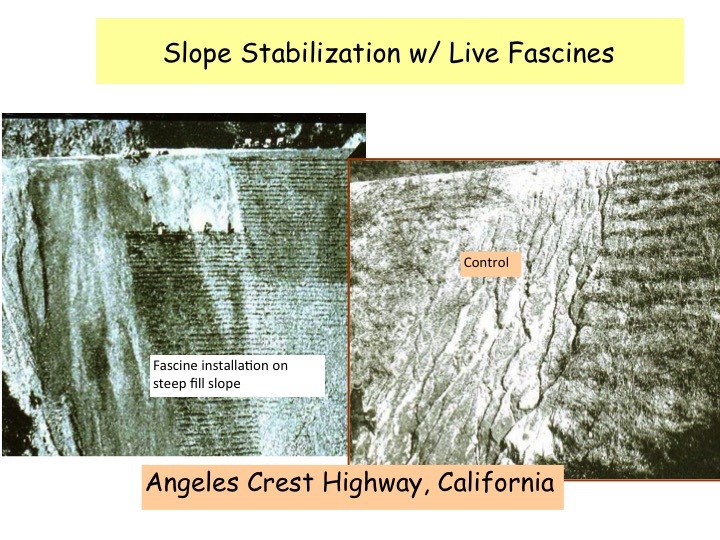 This type of construction for slope and streambank stabilization is keenly intersting to me. I have been designing and implementing projects with these methods for over 20 years now. I started with the willow “live” stake, then did everything with the “willow wattle”. By the way, do you know where the term STRAW WATTLE originated ? Later I became interested in “Live Brush Layering”. This webinar really covers the key priciples and concepts about BIOTECHNICAL SOIL STABILIZATION that I have learned over the last 20-years. I have built projects using these naturally-occuring and sustainable methods in Canada, Alaska, California, Kansas, Malaysia, and New Zealand. Learn more about Bioengineering, where and how did these evolve. 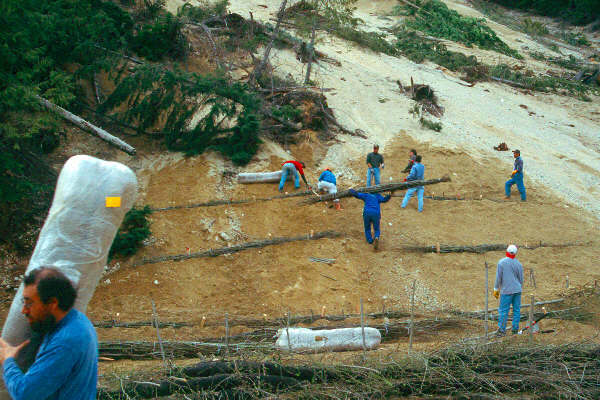 Repairing a huge landslide (the “Big Sandy”) in Seschelt BC back in 1999. Using Willow Wattles and Brush-Layered Toe Wall. 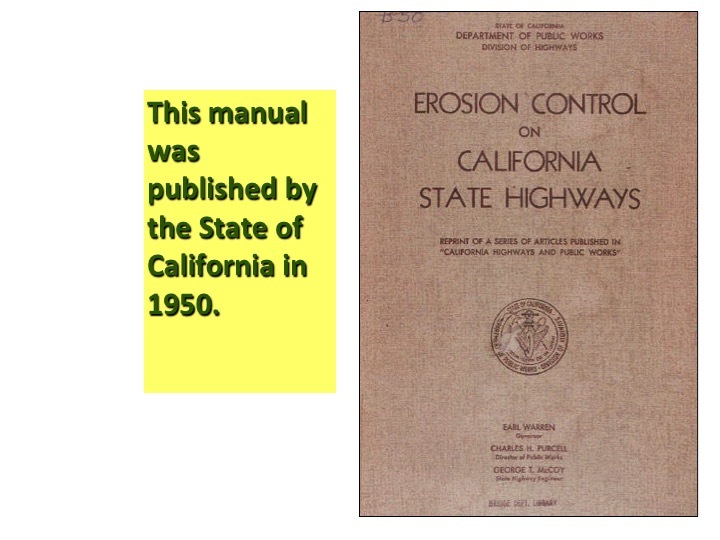 Did you know that Caltrans published a Manual in 1950, which detailed the use of brushlayering and willow “wattles” for building highway embankments and fill slopes. 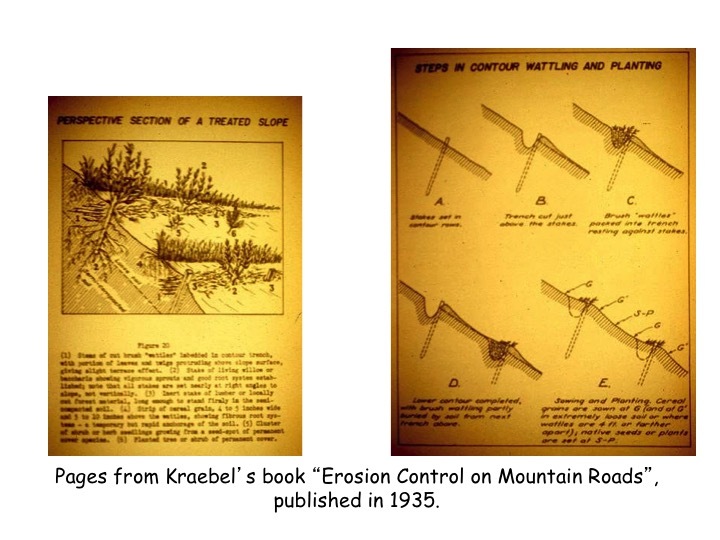 This highway manual was preceeded by the work of Charles Krabel, circa 1937, Landscape Architect for Forset Service in So. California. Learn some of the history of Bioengineering in the west. 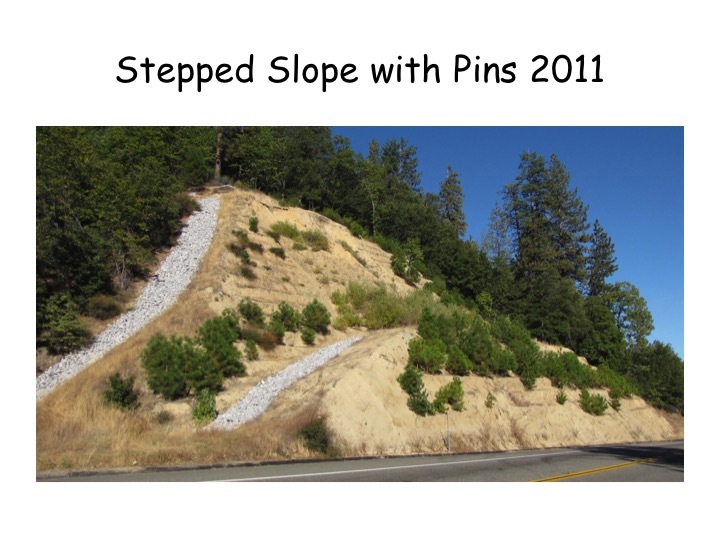 How do you build fill slope embankments steeper that the angle of repose? Engineering principles say to mechnanically reinforce. 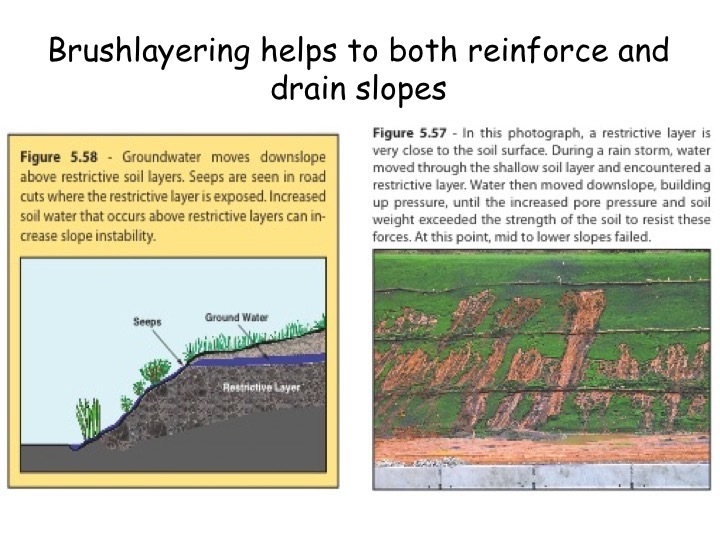 Learn how to combine naturally-growing materials into your desigm, biologic materials that CAN continue to grow soil reinforcing roots that help not only stabilize but also reduce pore pressure on wet slopes! This Webinar will also discuss topics in Natural Succession and the value of “mimicing” natural systems. This program is a must for those of you who are challenged to knowlegably offer justifications for adding bioengineering compontnets to your projects. Also a “must” for those who want to see case studies that describe successes (and some failures) on projects that have survived the test of time. This webinar will be super interesting to those of you already familiar with Bioengineering but it is also intended to give you a huge “first step” into BIOENGINEERING and BIOTECHNICAL TECHNIQUES for SLOPES and STREAM BANKS. Hopefully you interest is piqued. Sign up for the Webinar now and also Professional Development Units.